A Holy Communion Service is held at 8.30 am. on the 3rd. Sunday of every month and occasional services at other times. Please check details on the Calendar. 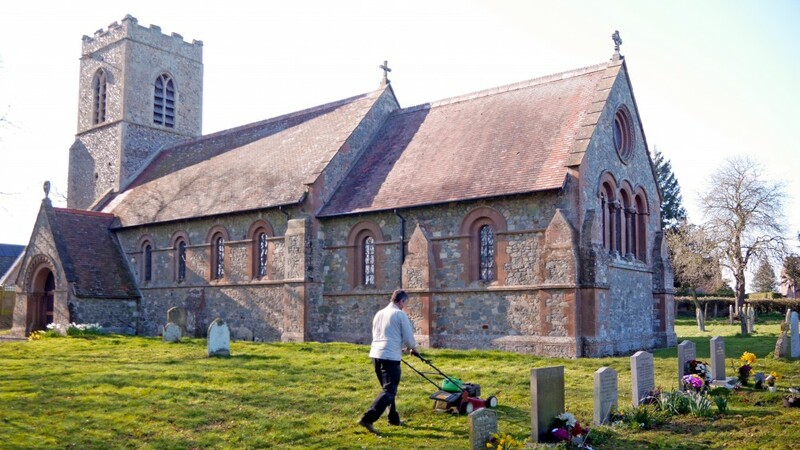 The Church is also used for Weddings, Baptisms & Funerals and at Christmas. The Gap meet on the second Sunday at 4 pm. It is recorded in the Domesday Book as Reidnua and in 1254 as Ridone. 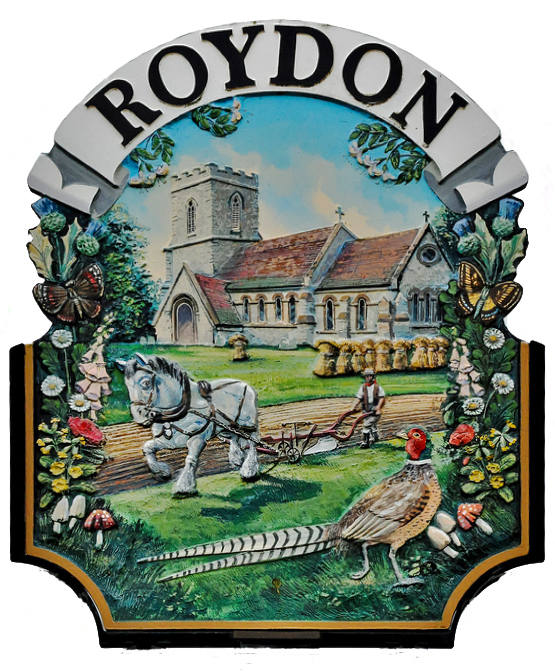 Roydon takes its name from Rye or Rie, which is the origin of Rysing as pronounced in Saxon times.Don or Dun is derived from the Saxon word for hill. Ryedun in times past was part of Rysing. Ryedun stands higher on sandy soil than Rysing hence the Dun (sandune). In later years the seaport town of Rysing had built its Norman Castle. Over time,this became known as Castle Rising, and Ryedun became Roydon as it is known today. In 1066 William the Conquerer took Ryedun from Stigund, Archbishop of Canterbury and gave it to his brother Odo who was Bishop of Bayeux in France. By the early 17 century, the Howard family were Lord of the Manor and continued to be so until the middle of the 20 century, when much of Roydon was sold off privately. The Church of All Saints, is a small Edifice built in the late 13th Century consisting of Chancel, Nave, South Porch and Embattled Western Tower which contained one bell. There are four stained glass window, one at the west end in the tower and three in the Chancel at the east end. the Howards remain patrons of the church as they have been since the 17th century. 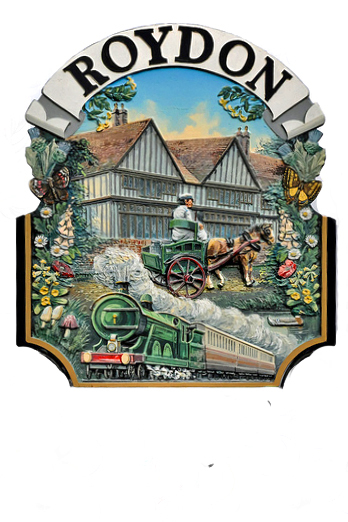 The village was served by the Grimston Road railway station of the Midland & Great Northern Railway Company (the station was named after the nearby village of Grimston despite being in the centre of Roydon because, at the time of opening, Grimston's population was ten times that of Roydon). The station opened in 1879, and closed to passengers in 1959 (freight traffic continued to pass through the village until this section of the M&GN railway finally closed in 1968). Roydon today has a large common which is managed as a nature reserve.